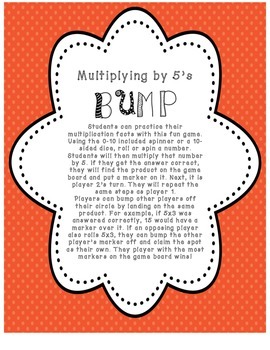 Bump is a fun game to play to review multiplying by 5's! 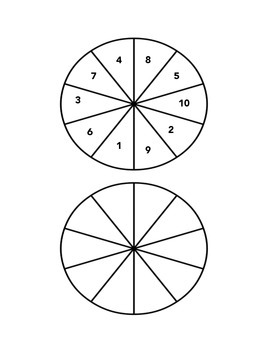 Players will take turns spinning a number and multiplying it by 5. Then, they will place a marker over the correct product. 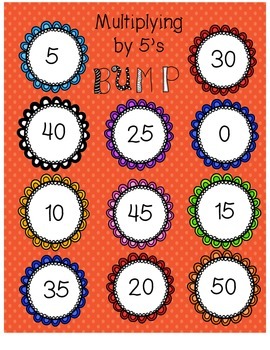 If a player multiplies and gets a product that already has a marker on it, they can "bump" the marker off and claim it as their own! They players with the most markers on the board wins!